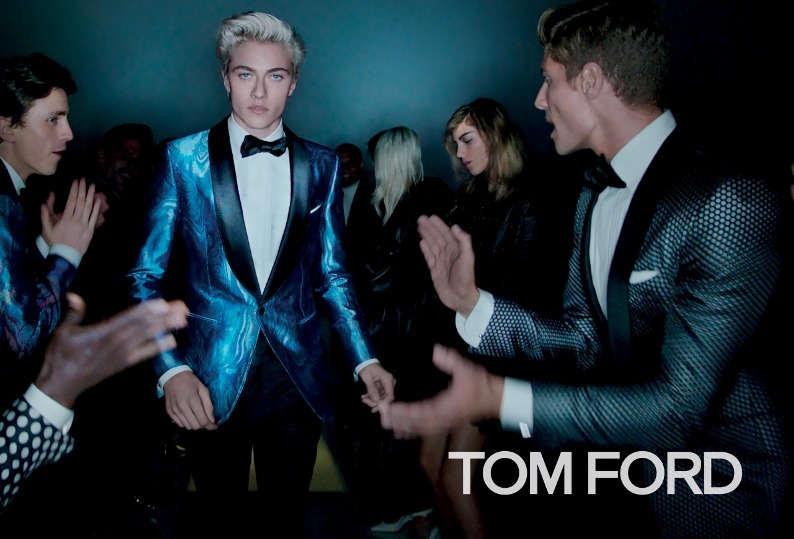 Lucky Blue Smith is the star of the new spring / summer campaign 2016 by Tom Ford. The most coveted male model on the planet, stars alongside Mica Arganaraz and Lida Fox in a glamorous shoot photographed by photographer Nick Knight in L.A. 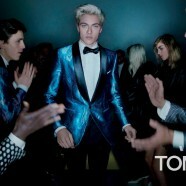 In the stills released by the brand, set in a glamorous party atmosphere, Lucky sports a shimmering blue tuxedo while Mica and Lida appear wearing a jacket with animal print and a red sequined gown and a long-sleeved mini dress respectively. Accompanying the campaign images is a video, featuring vocals by Lady Gaga and Nile Rodgers.